David is a seasoned litigator that has represented a wide range of clients since 2010. Before joining Catanese & Wells, David practiced at larger firms representing businesses, banks, and high net worth individuals in complex litigation matters involving antitrust issues, construction claims, adversarial bankruptcy proceedings, and business tort claims. Now David’s practice focuses on: (1) representing parties in the international world of equine sports, particularly matters concerning race horses and horses suitable for the hunter/jumper, dressage, and eventing disciplines; (2) representing beneficiaries and trustees in trust & estate litigation; and (3) representing privately held businesses in litigation involving contractual breaches, business torts, and partnership disputes. David has been recognized as a Southern California Rising Star by Super Lawyers for the years of 2018 and 2019, a distinction reserved for 2.5% of all lawyers in Southern California who exhibit excellence in practice. David holds a Bachelor of Arts in English from California State University Los Angeles and a law degree from UC Hastings College of the Law. During law school, he was an editor of the UC Hastings Business Law Journal, a founder of the Japanese Law Society, and a candidate of a highly selective study-abroad program in Hamburg, Germany focusing on international business law at Germany’s top law school, Bucerius University. 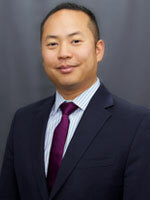 He currently serves on the Board of Directors for the Japanese American Bar Association and was formerly a Director at Large for the Asian American Bar Association of Northern California – two of the largest minority bar associations in the country. When he’s away from the office, David enjoys musical theater, attending horse shows, snowboarding around the country, and hosting social events at his home in the San Fernando Valley. If you’re interested in horse shows and equine law, follow David on Instagram @CaliHorseLawyer. Obtained a complete defense verdict for a horse trainer sued by her client that fell off a horse during training and severely injured her back. Represented a breeder of elite showjumping horses in a matter wherein approximately $5 Million in horses were fraudulently stolen in a case involving fraud, elder abuse, and conversion. Resulted in favorable settlement. Represented a world-renown Grand Prix showjumping trainer in enforcing a six-figure Agister’s Lien on two horses after his client stopped paying for lessons and board. Resulted in favorable settlement. Consulted numerous clients on leasing, managing, and selling high-end sport horses which included the drafting of agreements (e.g. bills of sale, leasing agreements, liability waivers), setting up separate entities to deal with liability and tax issues, and dealing with equine insurance issues. Represented several trust beneficiaries in an action to remove and surcharge successor trustee for failing to account for trust and failing to distribute trust assets. Resulted in favorable settlement. Represented several beneficiaries of a trust in prevailing on a petition to deem the trust instrument a product of fraud and undue influence that resulted in the removal of the trustees and the establishment of a constructive trust over the decedent’s estate. Represented a beneficiary of a spendthrift trust in a petition to remove the trustee who invested the beneficiary’s trust funds in an aggressive stock portfolio and refused to distribute the funds. Resulted in beneficiary obtaining full control of the funds. Represented one of the largest privately held lighting companies in the country in an action against a publicly traded competitor for trade secret misappropriation, breach of contract, and interference with economic relationships. Resulted in favorable settlement after 2 years of aggressive litigation. Represented partners of a large mining operation in a partnership dispute resulting in a settlement forcing dissolution of partnership on our clients’ terms and requiring opposing partners to fully reimbursement their attorneys’ fees. Defended one of California’s largest poultry farms in a nuisance and toxic tort action brought by surrounding neighbors. Resulted in full defense verdict following a multi-week jury trial.